The lounge is one of the most important rooms in the home. After a long and hard day at work, there is nothing better than kicking back and relaxing on your sofa and watching an hour of TV. If you are considering purchasing new furniture then this is a chance for you to make your house a home. You can pick furniture that is in line with current trends, your style and that gives you maximum comfort. Before picking any items in the lounge, you need to consider a few different things. 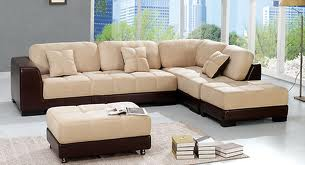 It is likely that you have already set a budget for your lounge furniture. You’ll need to allocate segments of this budget to individual items. For instance, if you have a £2,000 budget, then £250 might go towards a new coffee table, whereas £1,000 may go towards a leather sofa. Have a quick browse around online retailers and see what they are offering and at what prices. This will give you a good idea of what is really going to be an acceptable budget for the new furniture as a whole, but also for the individual items. Remember, online retailers will regularly offer discounts and may even have discount codes that can be picked up, which could save you 10-15%! You will need to get a cool mix of what is currently in fashion, what suits your house and what really suits you. By checking interior design magazines, you will be able to see the styles of furniture that are really popular. Of course, getting items that suit your house is going to be crucial, but also difficult. For example, a contemporary sofa is going to look terrible in a cottage that is 200 years old. Don’t just pick the items that you like, as once they are in the house, they really need to blend in. The size of furniture helps to create a unique look and feel to individual rooms and the actual house. Having items that are too big will make a room feel cramped. Having furniture that is too small will make a room feel incredibly empty and possibly even cold. You can work out sizes for furniture based on existing items in the home. That being said, it might be worth taking a trip to a local furniture store. Sometimes they will have examples of rooms with different pieces of furniture in them for you to look at. This will give you an idea of what is going to be suitable. Obviously comfort only really relates to the items in the lounge that you are going to be sitting on. This might be chairs that are designed for the corner of the lounge, catching the sun that beams through the window or this could be reclining leather sofas. Regardless of the item, you really do need to check them out for comfort. There is no point have an item that looks perfect in the home, but is incredibly uncomfortable. All this will mean is that you start to create excuses to get rid of this furniture as soon as possible. Alex is an online writing professional and has been operating online for over 5 years. The main areas that he covers include the likes of gardening, finance and DIY to name a few. He has travelled throughout Europe and has been published on some of the most popular blogs in the world.